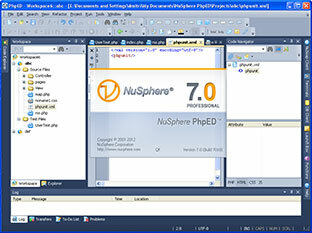 NuSphere has a special offer (for CSE HTML Validator users) for their flagship product, PhpED 7.0, a PHP IDE. PhpED comes with a full stack of web development features including syntax color highlighting, code insight and code completion for PHP, JS, HTML and CSS, a Powerful PHP Debugger, and integration with CSE HTML Validator (the lite edition is automatically installed with PhpED). Use coupon ALL-OTH-30-O-00D27 to save an additional $30, even off the current sale price. Please visit the NuSphere Online Store if you'd like to take advantage of this offer.